The mission of Cayo Animal Welfare Society (C.A.W.S) is to provide for a better life for all the domestic animals of Cayo through education, health, and maintenance. 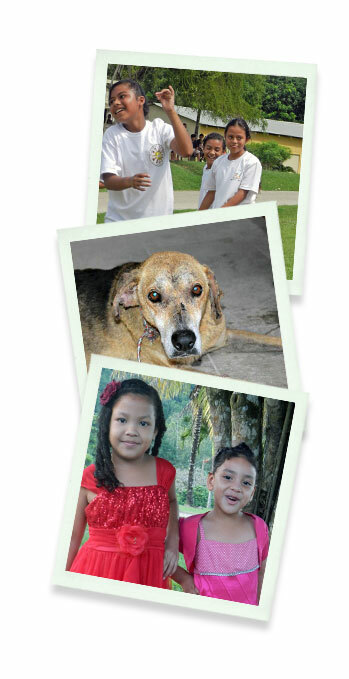 The activities of the Society are as follows: Conduct public awareness and education programs designed to create an informed and knowledgeable public, facilitate low cost spay and neuter clinics by working with local veterinarians and volunteer organizations, and facilitate the sharing of information with other animal welfare groups throughout Belize. The Cristo Rey R.C. Village School serves approximately 350 children from ages 4 through 12 years old. Basic student and teacher supplies, sports equipment, and tech supplies are always in short supply. Jeff & Cheryl, owners of Lucky Dreamer Lodge, volunteer at the school each year on projects from power-washing the building to setting up and maintaining a computer lab.